136 Shadow Ridge Rd. is a wonderful cross between great location and quiet, neighborhood living. A stone's throw away from High Ridge Road, this home boasts many positive features. 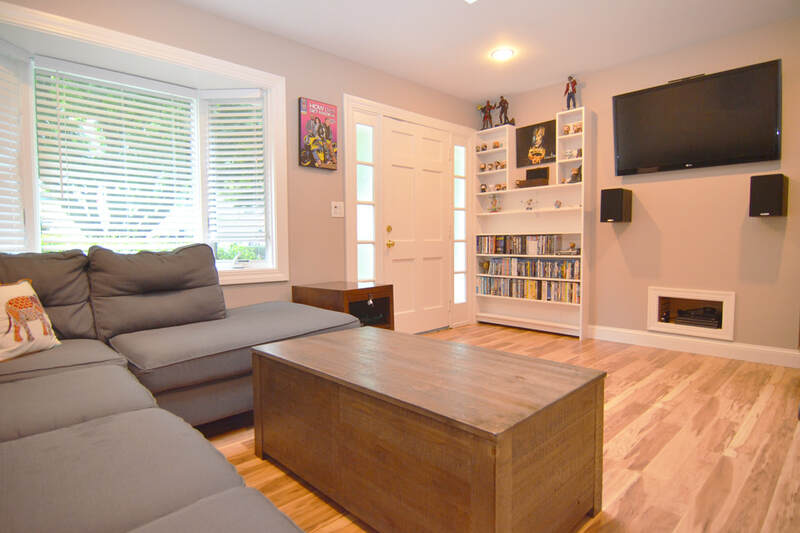 Off the Merritt Parkway, a mile down High Ridge Rd and a minute off High Ridge Rd, you will find a desirable neighborhood and this well updated and cared for ranch-turned-cape. As you park your car, you will get a taste of peace and and tranquility that you wouldn't expect being so close to a main road with all the amenities. Parking in the double-wide driveway, with an attached garage as an option, take in the wooded, suburban feel. Heading down the walkway and entering into the home, you can immediately tell the amount of care put into the home by the owners. The living room is set up for a growing family. Head down the hallway to any of the three spacious bedrooms and claim your own. Each bedroom shares its own character with many possibilities to make an office, den, gym or place to lay your head at night. The initial bedroom when walking down the hallway to the left is currently used as an office for the current owner, which can easily be changed, but this room currently houses the entertainment/security center for the entire home. In its closet, you will find hook-ups for a floating entertainment center in the living room, some hardware for the outdoor camera system as well as the hardware for the outdoor surround sound that is hardwired to the outside, back porch for music while enjoying your sunny weekend outdoors or for when you have guests out back for holidays. Smack in the middle of the main level, you will find a spacious and updated full bathroom--this bathroom is in excellent shape, completely updated and with no need of further renovations. It has modern fixtures, good space and charm. Not a single update needed here. Next door to the bath, you will find a large utility closet with washer/dryer conveniently placed for doing laundry with ease. Heading back down the hall toward the front of the house, go again through the living room and into the eat-in kitchen. The owners have done some good work to make this kitchen shine the way they enjoy. 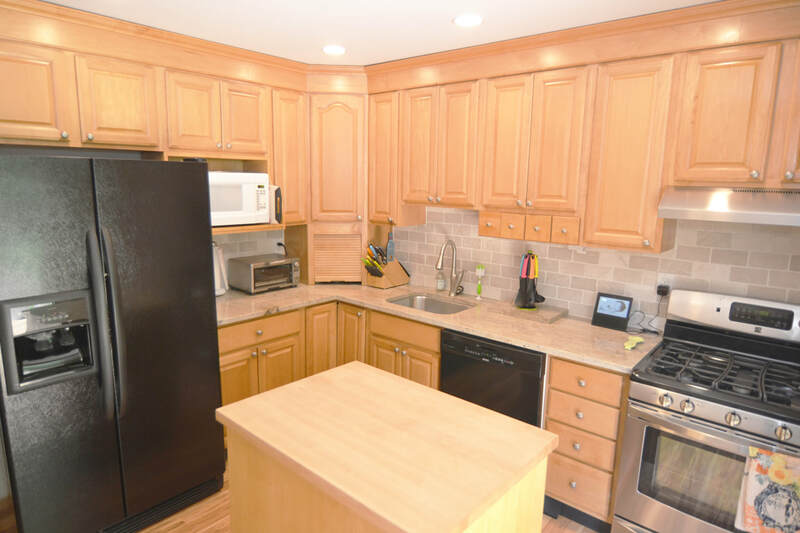 With granite counter tops, a gas range, dishwasher and updated appliances, this room is ready for a new owner to move right in. The owners also recently added a built-in bench with bonus storage inside to utilize its space and give you a special place to sit while at the kitchen table. Off of the kitchen are many options. Let's first head out the slider door off the kitchen to a back deck and fully fenced, private backyard; perfect for entertaining guests in the summer-time. The yard is mostly level with an audio system that is connected both inside and out. The back yard also features a shed for extra storage, a tool shed/workshop or for housing your yard equipment. Feel comfortable letting your dog go play on this flat, fenced in lot as you soak up some sun on the porch or as you cook and watch from the kitchen. Soak in the privacy and manageable space this yard offers any potential home owner. As we head back up the deck and into the kitchen, we turn the corner between the kitchen and living room and see there is a stairway up and a door straight ahead. Open the door into the attached single-car garage or up the stairs. 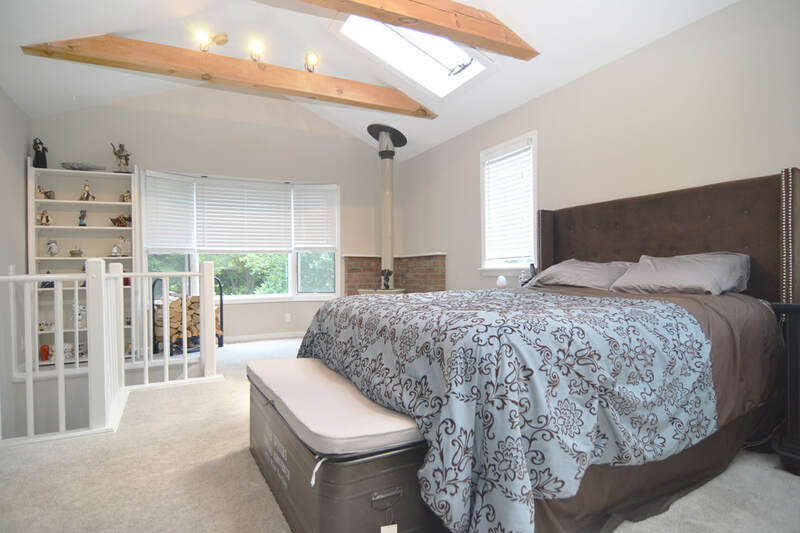 Heading back into the home and turning up the stairs, you are surprised to find the master suite that can be used as a bedroom or a large family room with a fire place and tons of natural light from the windows, skylights and vaulted ceilings. Enjoy the warmth of the stand-up stove on a love seat or while laying in a California king. Head into the massive master closet and pick a his/her side. 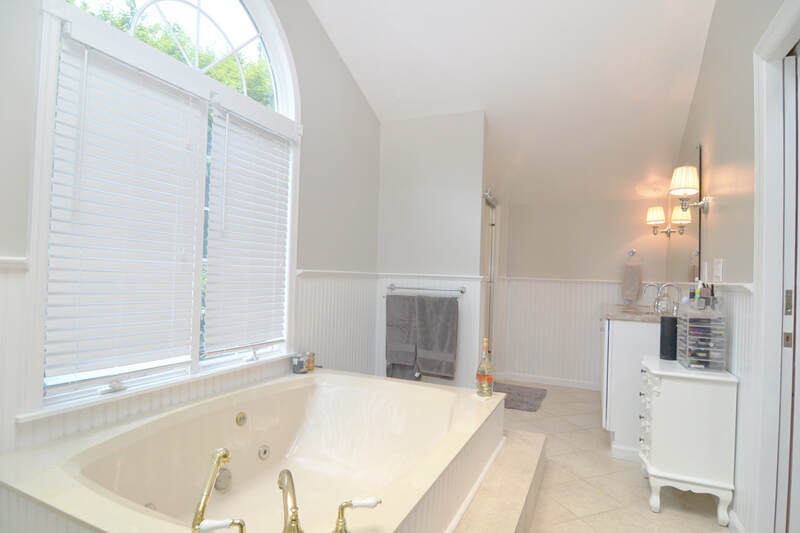 Next, head to the back of the room, where you will find the best part of this home; a large, well updated master bathroom with both a stand-up shower, a large Jacuzzi tub, his/hers sink and so much more. Fall in love with the experience this room offers. An updated, spacious home at an affordable price point awaits any potential buyer. Let these quality updates, space and location make you feel like calling 136 Shadow Ridge your next home. Check it out before it is gone; at this price, it won't last long!